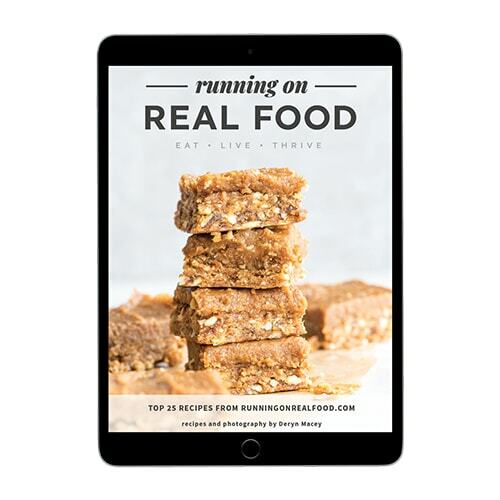 Download your free ebook featuring the top 25 delicious, easy to make vegan recipes from Running on Real Food. The book contains vegan treats, snacks, smoothies, pancakes, lunches and dinners that you will love. Copyright 2019 Running on Real Food. All Rights Reserved. Back to the Blog.